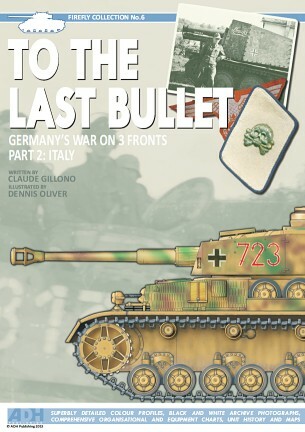 The tireless Monsieur Claude Gillono is back with the second part in our planned To The Last Bullet: Germany's War On 3 Fronts trilogy. 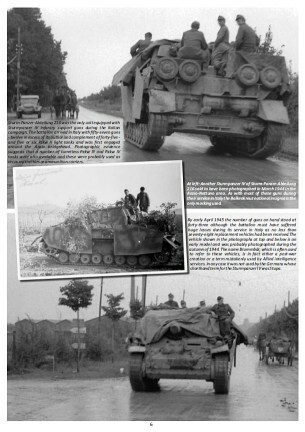 The first part covered the German armoured force on the eastern Front during the last year of WW2 and this second volume deals with the campaign in Italy - for which Claude was a natural choice as author. 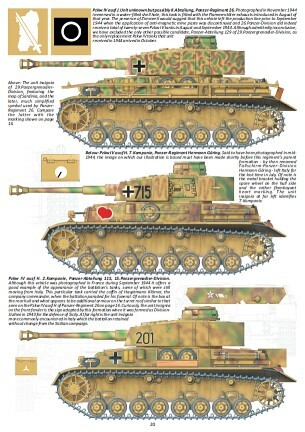 This book is based on our usual format of 13 full colour pages highlighting over 40 different vehicles including Panthers, Tigers, Panzer III and IV tanks, half-tracks, the Nashorn self-propelled guns and of course the ubiquitous StuG. The illustrations are complemented by black and white archive photographs - many from Claude's extensive private collection which have never been published before - as well as an authoritative text. In the United Kingdom: Aviation and Military Book Centre, Bookworld Wholesale, Hannants Mail Order, Motor Books Co., Barbarossa Books and Paul Meekins Military and History Books.